Greg Clutter, Mid-Atlantic Technology and Research Innovation Center, will talk about his center’s R&D commercialization efforts and successes. Charlotte Weber, Robert C. Byrd Institute for Advanced Flexible Manufacturing, will share information about her center’s 3-D printing capabilities and highlight new assistance services available for entrepreneurs. Guy Peduto, INNOVA Commercialization Group, will provide an update on new ventures that have benefited from his group’s business support services and seed/early-stage investment capital program. Michele O’Connor, West Virginia Jobs Investment Trust Board, will educate attendees about the state’s new multi-million-dollar West Virginia Capital Access Program. 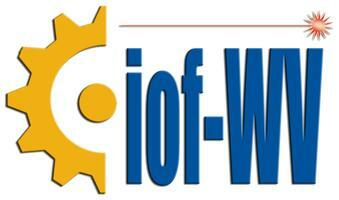 The IOF-WV Innovation & Entrepreneurship Day being organized by IOF-WV and TechConnect West Virginia as a way to showcase the success of the state’s innovation economy.